In all the things of nature there is something of the marvelous. After breakfast, embark upon a stunning Bhaba pass trek route. Amble amidst apple orchards and an easy to follow forested part. With a trail that is moderate in nature, it would take you around 6 hours to arrive at Gulling meadows. Once there, take in the natural beauty that abounds. Overnight in Tents. This exciting day of the Bhaba Pass Trek, brace yourself for some fun river crossings where you will have to make way through natural bridges. Enjoy the sights of vibrant alpine blossoms. You might also get to meet some local shepherds who adorn traditional outfits. Arrive at Karah meadow after a steady climb. 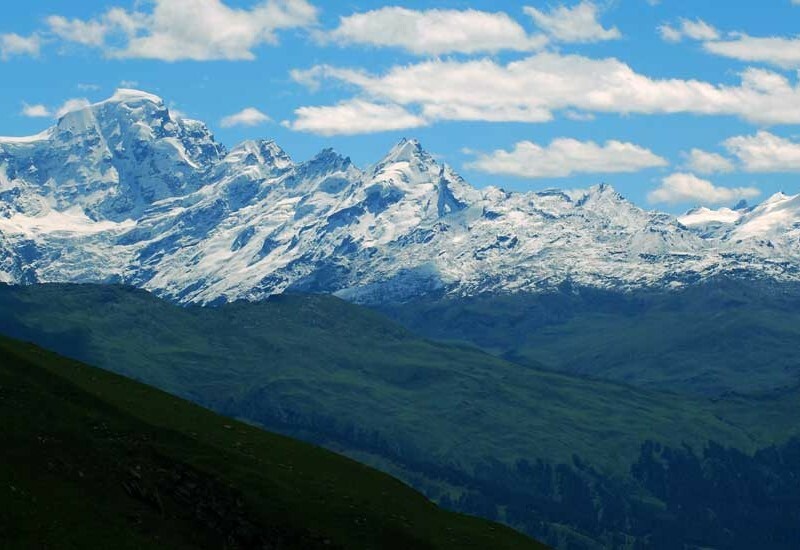 Once there, lap up the sights of stunning peaks that lie on the border of Kinnaur and Spit. Overnight in Camp. This day, start from Karah and enjoy the trek to Phustirang. Expect breath-taking sights as you make your way on the river's left bank to arrive at Phustirang. Witness the mighty Hansbeshan Peak that perches at 5,840m. Arrive at the camp ground during the earlier part of the evening and unwind. Overnight in camp. This day, you begin by ascending the path that takes you to the Bhaba Pass. Be prepared for a steep path and heavy snow. You would have to put in more strength and treading on the snowy area can take more time. Once at the top, you can feast your eyes on the great views that surrounds. Witness many mountain ranges and the famous Pin Parvati Pass. Take a short halt and start climbing down towards the Spiti side. After a few hours; make way on the stunning landscape that is distinctive of Spiti. The terrain here is a mix of grasslands and mountains of various colors. Overnight in Camp. Today, there will be an easy trek to Mudh. The terrain that surrounds you will be breath-taking. Witness purple hued mountains, Pin river meandering and endless open spaces. Enjoy the charming hamlet of Mud, after which you will be driven to Kaza. Once you are here, you will head to the hotel and get refreshed; overnight stay in the camp. Accommodation in Shimla and Manali with breakfast. GST @5% (not applicable for international transfers). 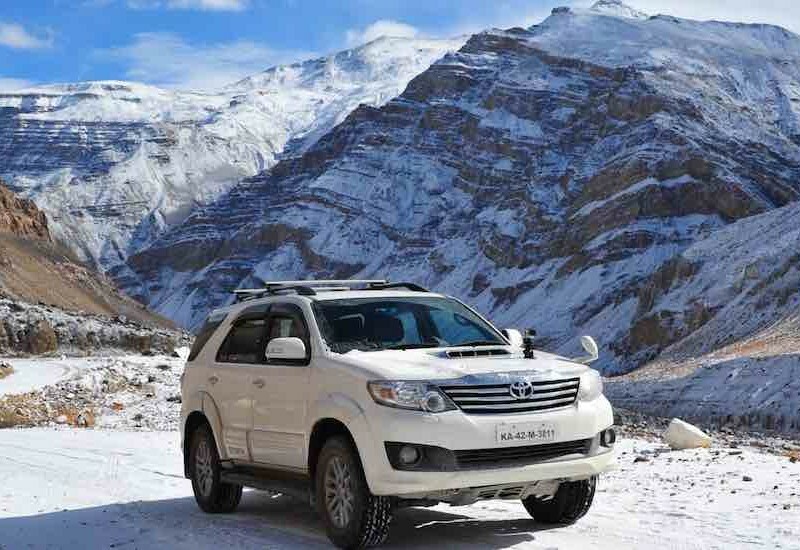 Transport for sightseeing in and around Manali/Shimla and in Himachal Pradesh. Kanamo in Spitian language literally translates into, “The Black Mountain”. The villages from where the peak is visible are located on the south side of this peak, from their location the mountain appears to be black in colour, and that is why it got its name. Kanamo also means mountain that has a lot of snow, if one were to reach the top and view the glacier on the north face, the second interpretation is quite appropriate too. The name doesn’t do entire justice to this friendly and beautiful peak, as it is black only in colour and not in spirit. 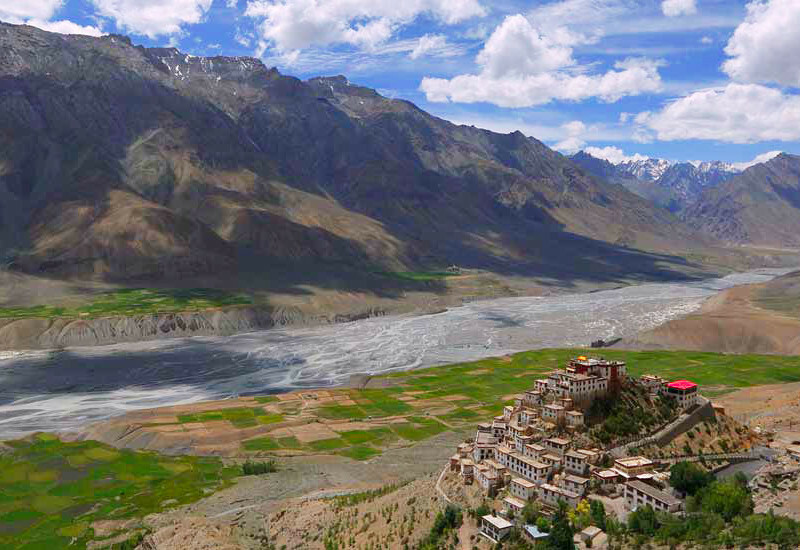 Spiti means “The Middle Land”, i.e. the land between Tibet and India. 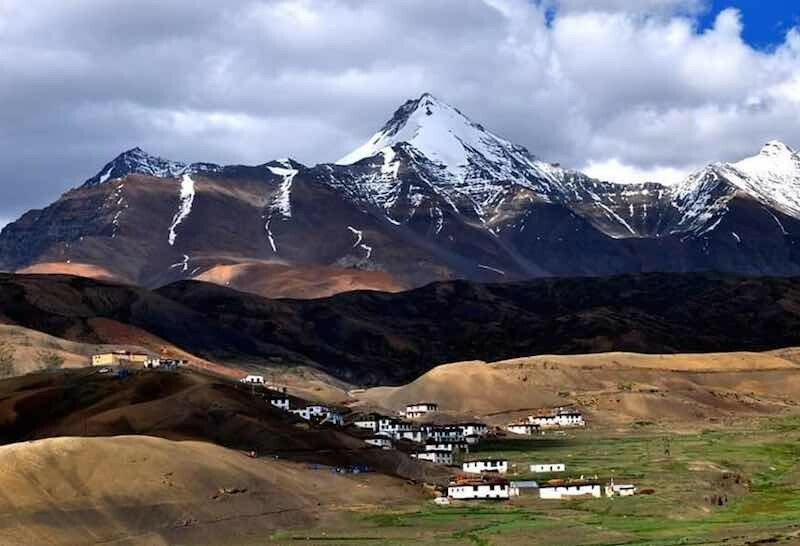 The Spiti Valley is a desert mountain valley which is located high in the Himalaya Mountains in the north-eastern part of Himachal Pradesh in India.